This is the last weekend of the holiday season for 2014/2015. Once again we soon will move back into “normal” life and the start of a brand new year. May yours be filled with dreams fulfilled. Mine will be filled with more blog posts. Or at least I will try – very hard. Since this is the last hurrah of the holidays, some of us are still in entertaining mode. You might even still have a scheduled weekend get-together. That’s a plus, but the down side is that the entertainment budget has probably been stretched paper thin. What if I told you that you could turn an average-sized lobster (currently about $7 in Nova Scotia) into a gourmet feast for a table full of friends? You would rightly be skeptical. I am here to turn you into a believer. This recipe makes 48 “not small” ravioli. If you count six for an appetizer or eight for a meal, that feeds quite a few. Also, all of this can be made ahead – days ahead. I just checked the online menu for The Bicycle Thief, an upscale restaurant in Halifax. They are offering “Lobster Ravioloni” (small ravioli??) for $25 per plate. I’m assuming that is a maximum of six, but knowing the penchant for small plates I wouldn’t be surprised if it was four. So as you can see, you would be treating your eight guests to a plate that would cost you $400 if you were dining out. That’s impressive. This is one of the best pasta dough recipes I have ever made. It's pliable to roll and perfectly springy when cooked. Very nice. A keeper. 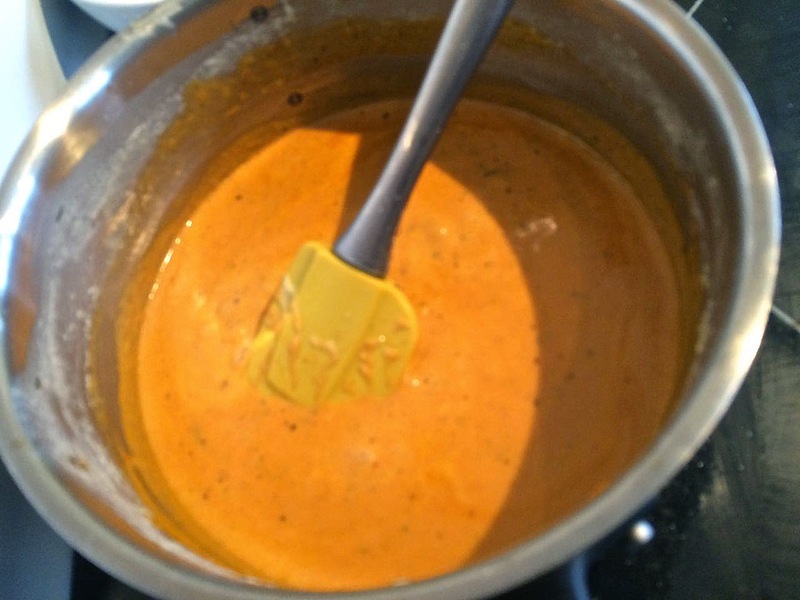 To gild the lily, I’m also posting a recipe for a rosé vodka sauce. Note the recipe makes 500 ml of sauce, so you may want to adjust it up or down. It's enough for 32 ravioli, but you may just want to make more. It's that delicious. 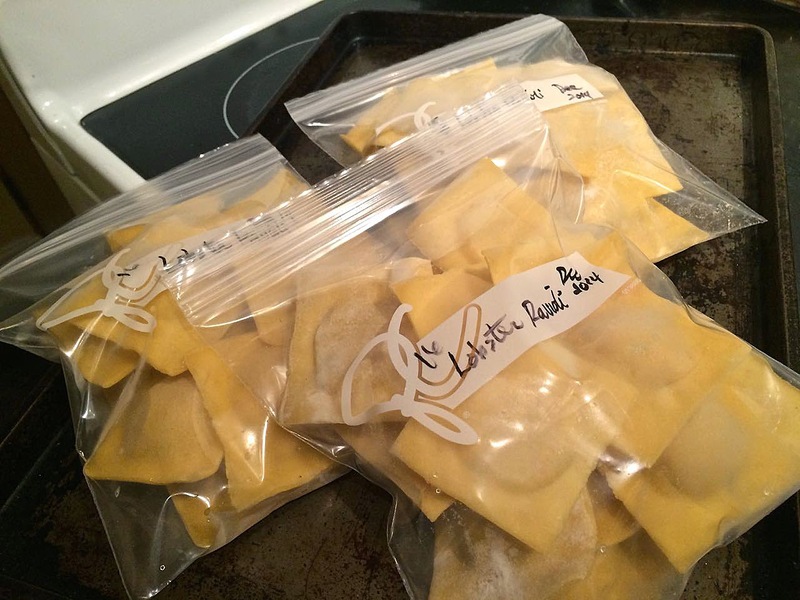 Since I wasn’t entertaining, I opted to freeze my ravioli in bags of 16. One down, two to go! Freeze the ravioli, if not using right away. Frozen, and then bagged for later use. Make the dough first. Place the two flours and salt in a bowl and whisk with a fork. Make a well in the centre and crack the eggs into it. Then add the olive oil. Using a fork, whisk the eggs and oil together, slowly incorporating the flour as you go. Continue until almost all of the flour is incorporated. The start to knead in the bowl until all the flour is combined. Transfer to the counter and knead for five minutes until the dough is smooth and elastic. Wrap tightly in plastic wrap and let rest on the counter for at least 1/2 hour. This resting allows the gluten strands to align and makes the dough even more elastic. 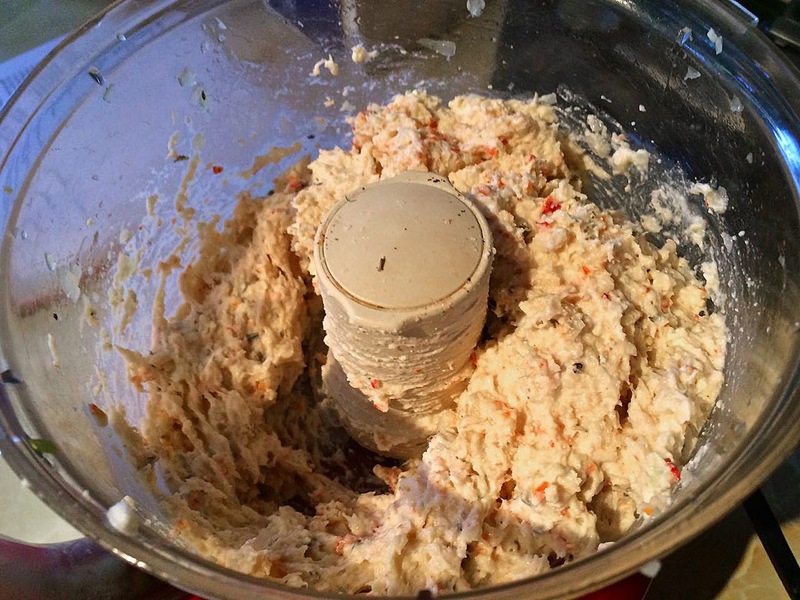 To make the filling, roughly chop the garlic and onion and place it in a food processor. Pulse until fairly fine. Dice the lobster. Add the lobster, brandy, tarragon, salt and pepper and pulse until the lobster is minced. Add the ricotta and pulse until just incorporated. taste for seasonings and adjust. 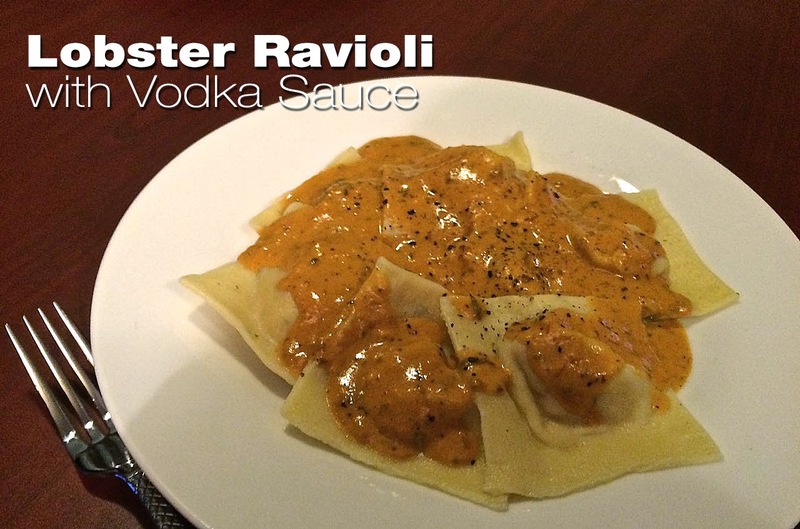 It needs to be well flavoured, since only a small amount is in each ravioli. To divide the filling evenly you can mark the top in quarters, so you know how much to use per sheet of dough. Cut the dough into four equal pieces. Starting on the widest setting, roll one piece out into a long sheet, ending on setting 6. Usual settings on a pasta roller go from 1 through 7 – 7 being very thin. You will end up with a sheet of pasta about 30” long by about 4.5” wide. Dust a working surface with a little flour. Place the sheet down and begin to add filling. Using a teaspoon measure, drop 12 heaping spoonfuls onto one edge of the sheet, evenly spaced apart. Using a small brush or your finger, wet the dough well around each pile of filling. Fold the dough up over itself. 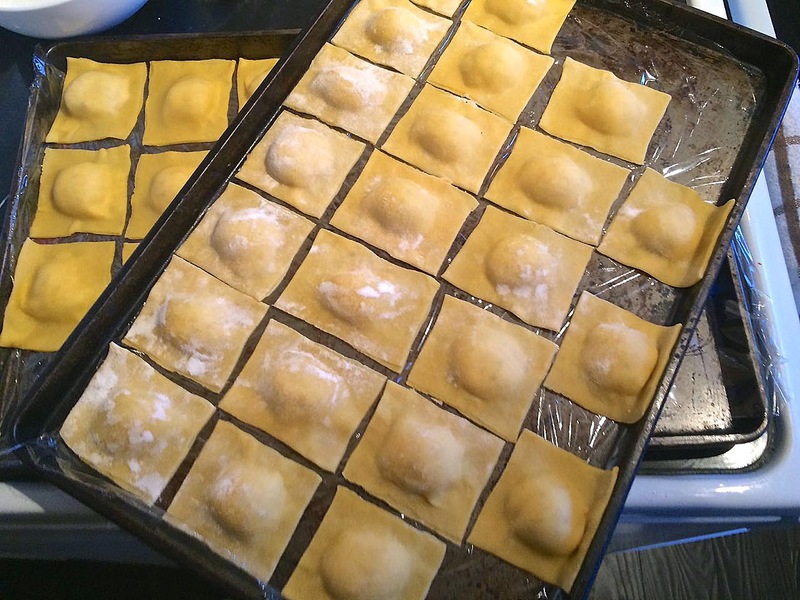 Seal each ravioli by pressing well using your palms and fingers. If you don’t do this step well they ravioli will come apart while boiling. Trim off the far edges of the ravioli sheet and then cut between. Place on a lightly floured surface if not freezing. If freezing, place on cookie sheets lined with plastic wrap. Do not overlap. Repeat with the other 3 pieces of dough. To cook, bring lots of salted water to a boil. If cooking fresh, boil for 3-4 minutes after the water comes back to a boil. If using frozen, cook for 6-7 minutes. Sorry for the out-of-focus photo. Combine the cream, garlic, tarragon and onion in a saucepan. Bring to a gentle boil and let reduce to half, stirring often so the cream doesn't stick to the bottom and burn. Then add the tomato sauce, vodka, salt and pepper. Bring back to a gentle boil and let cook for another 2-3 minutes. This sauce can be made ahead, sealed well and refrigerated for at least 3-4 days. i am more of an 8 lobster/1 person kind of gal but these sure look good!